⇒ Want to see the Top-Rated Educational Toys to buy online? Click Here to check them out. When you have a young child, it’s important that you get them learning from an early stage so that they can be successful learning later in life. However, you want to present educational material in a fun, enjoyable way, instead of sitting your toddler down in front of a white board and trying to teach them. There are tons of educational toys available that will help your child go above and beyond and excel in academics later in life. 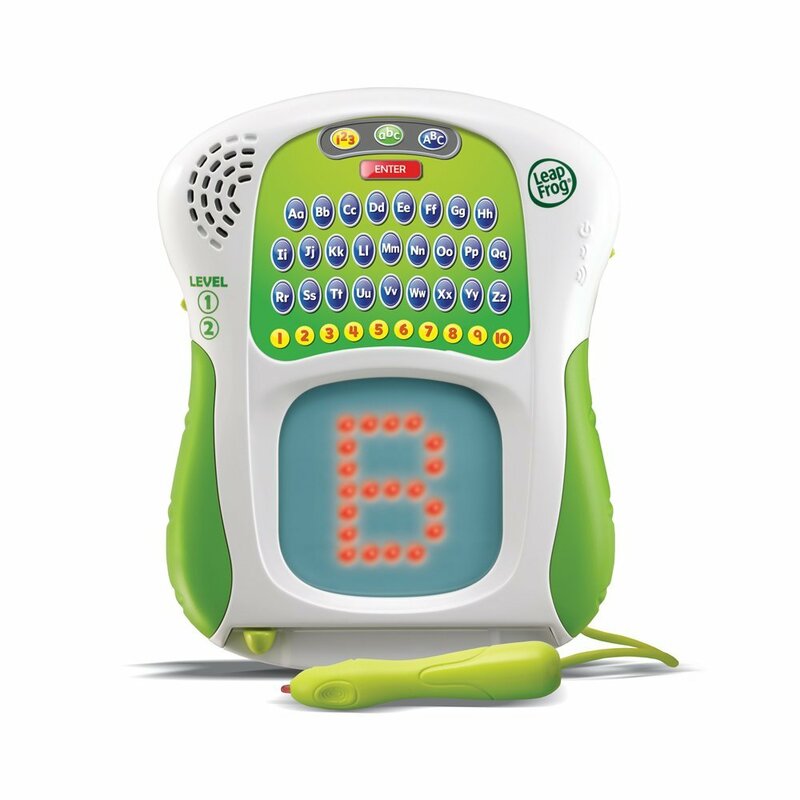 One really good tool for young kids is the LeapFrog Scribble and Write. It uses a stylus pen and an interactive screen to help teach your kids how to write the alphabet and numbers. Your kid can select numbers, capital letters, and lowercase letters. Once they do, they can press one of the letters to practice writing, and the screen will show an outline of the letter. Then, all they have to do is trace it. This allows them to develop muscle memory and better motor skills. 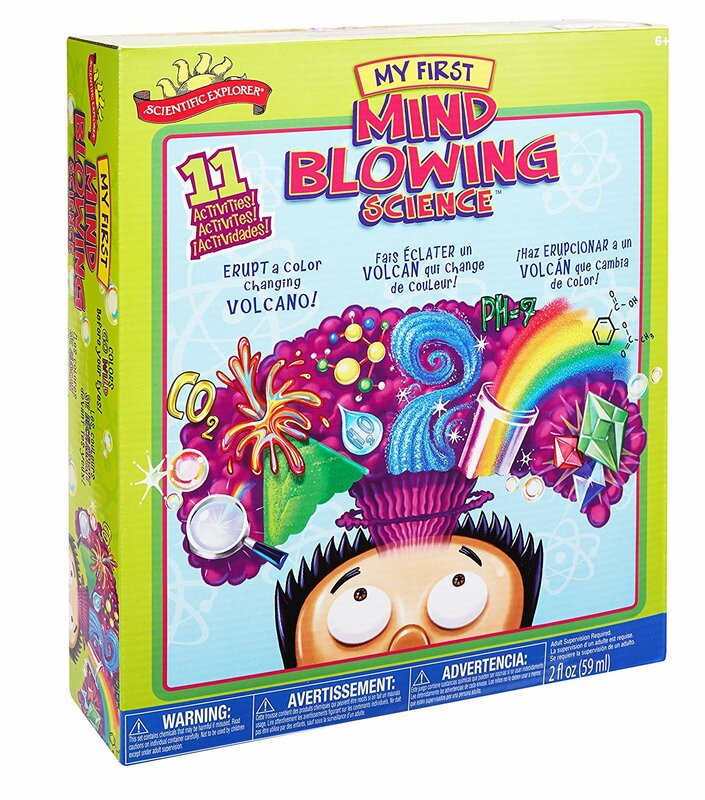 For older, more scientifically incline kids, they’ll love the Scientific Explorer Mind Blowing Science Kit. It includes everything your little scientist needs to perform some basic, but amazing experiments. It includes an easy to follow guide, all of the safe to use chemicals, and the laboratory equipment. This helps kids develop a better understanding and appreciation for STEM fields. If you’re looking for educational toys to get your kids interested in science, this one will please. 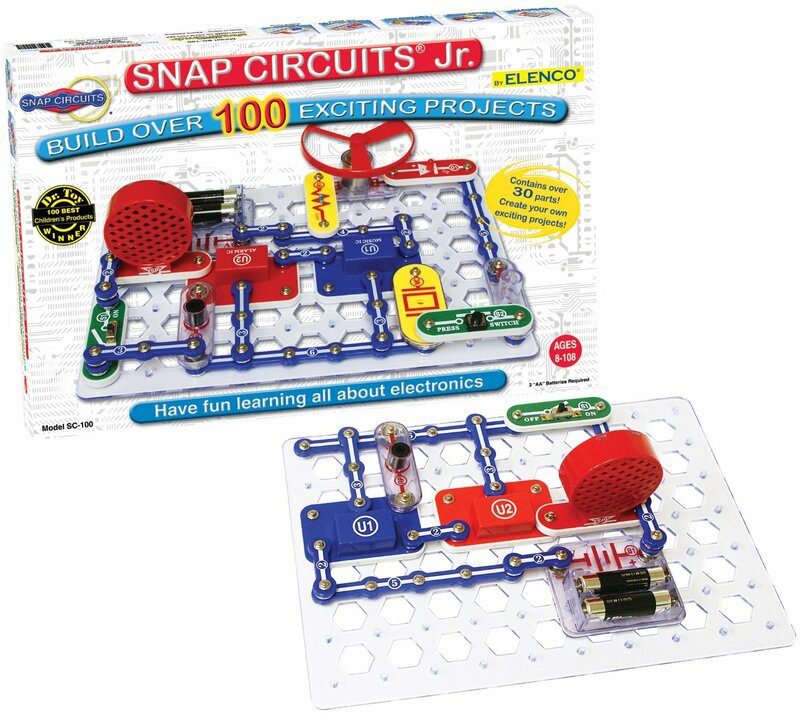 Another great educational toy gift is the Snap Circuits Jr. Electronic Discovery kit. Using two AA batteries, your child can power a circuit board and understand how circuits work. It’s great for beginners because it’s been safety proofed. This is perfect because your child doesn’t run the risk of electrocuting themselves. Although it only includes 30 parts, there are thousands upon thousands of ways those parts can be arranged to make functioning circuit layouts. If you’re looking for educational toys to teach your child electronics, you’ll be pleased with this one. This will certainly get any kid interested in engineering and physics. With the choice of so many projects within the one kit, this can be a gift that keeps them occupied for hours and hours. 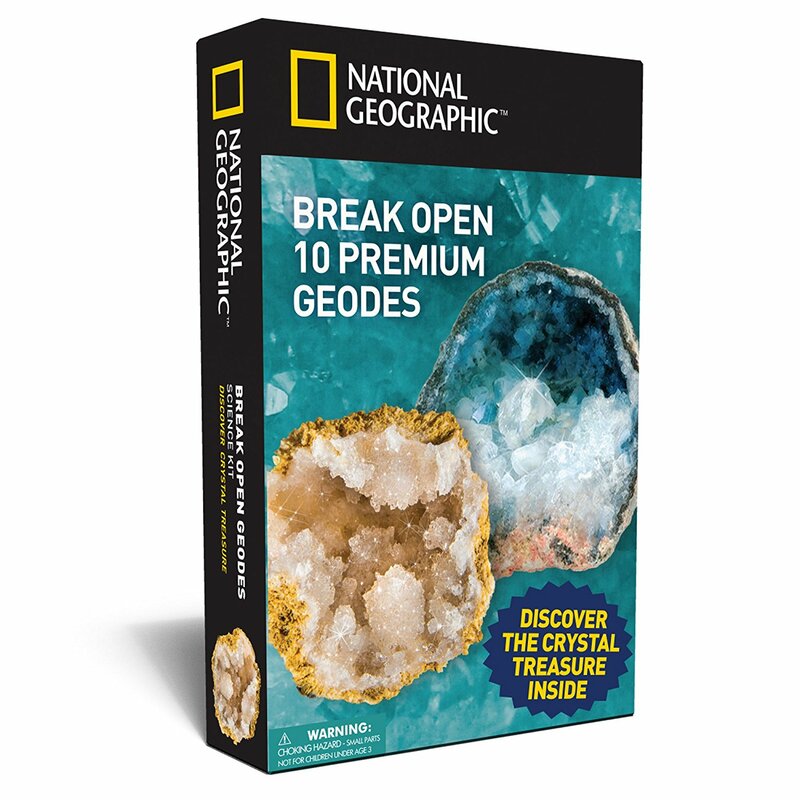 If your kid is a rock collector or likes spending a lot of time outside, they’ll be fascinated by the National Geographic Geode Exploring kit. Geodes are naturally forming rocks that are full of crystals on the inside. This kit includes 10 real different ones, along with all of the safety equipment your child will need to get it all done safely. It comes with a neat booklet that explains how to identify geodes and other basic information about them. It’s a great way to learn about geology and how the world works. 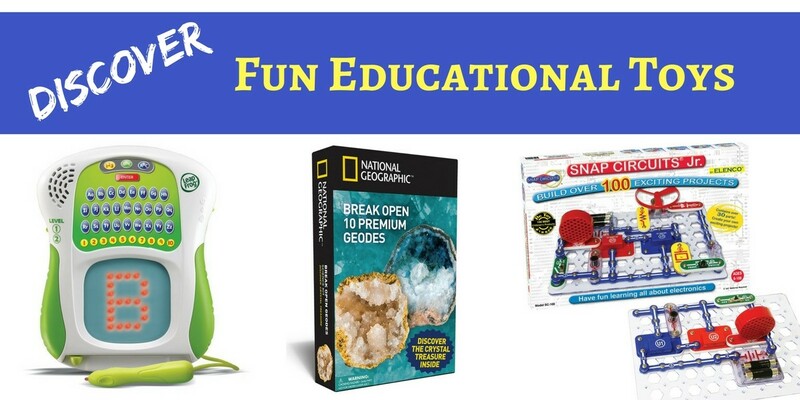 Whether your child is curious about geodes or fascinated by circuits, there’s always a fun educational gift you can get them this Christmas. And if you need more ideas, here’s the link you need (below)…happy shopping! 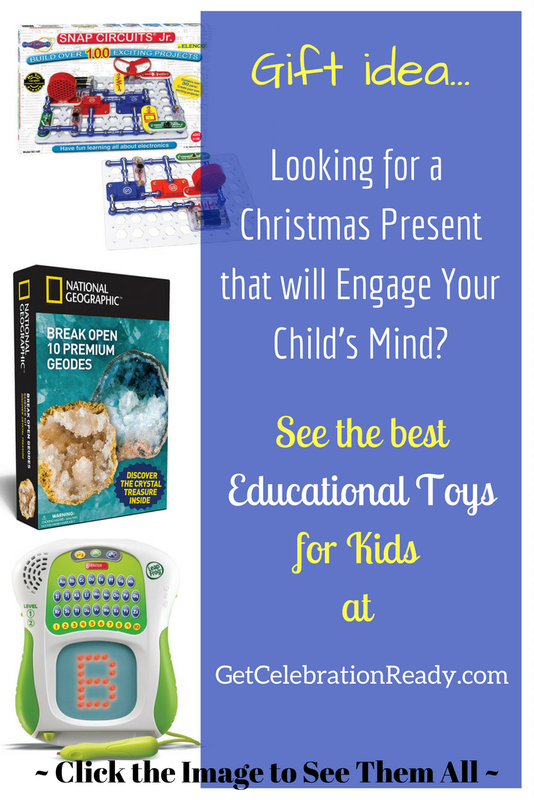 ⇒ Want more Top-Rated Educational Toys? Click Here to take a look.